Once every four years, mothers with scheduled C-sections or induced births will either avoid or embrace their baby having a Feb. 29 birthday, the day of the leap year. For people born on this day, who are often called “leapers” or “leaplings,” the birthday appears like a rabbit out of a hat, then disappears for four more years. Although the calendar spares leapers from the psychological turmoil of getting older each year, it also marginalizes their quadrennial birthdays. There is no reliable data on exactly how many babies are born on leap day, so experts often assume the odds are just the same as any other day. Because there are 1,460 days in four years plus one day for the leap year, the odds are one in 1,461. That said, there are an estimated 200,000 leapers in the United States and about five million worldwide. One of the benefits to being born on a leap day is that you get to choose when your birthday is. Some leapers will choose Feb. 28 while others choose March 1 — die hard leapers might choose to celebrate only on the 29th. Perhaps the easiest way to choose is, if a person is born closer to 12 a.m. on Feb. 29, they should celebrate on Feb 28. If they’re born closer to 11:59 p.m. on Feb 29, they should go with March 1. Anyone who is born closer to midday has the option to choose for themselves. Holly Parker, who lectures about the psychology of close relationships at Harvard, believes choosing your birthday is a unique and quirky aspect of being born on the 29th. 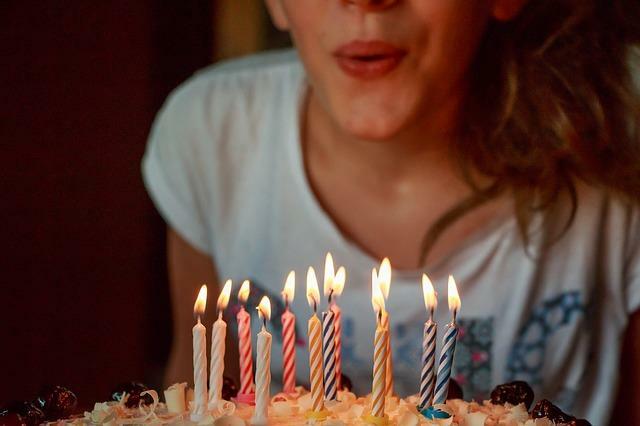 "There's no other birthday that offers as much freedom," she told Medical Daily . "If a person chooses to celebrate their birthday on March 1, they can literally celebrate their birthday in two different months [March for three years, February for one year]. No one else gets to do that." Theresa Nicolls is 59 years old but will be turning 15 if you only count her leap year birthdays. For over 20 years, she’s been celebrating her birthday on March 1, by accident. “I didn't know I was a leap year baby growing up because when I was born, my attending doctor asked my mom if she would like them to change the time I was born so my birthday would be recorded as March 1. For whatever reason, my mother never told me this until I was in my 20s.” she told Medical Daily. However, “had the doctor and my mom put my real date as February 29th, I would have celebrated on the 29th and on March 1st on non-leap years,” she said. Some mothers-to-be do everything they can to avoid their baby being born on a leap day. After all, there’s a lot to consider — should the baby’s birthdate be changed to Feb. 28 or March 1, and how will a baby cope with being born on Feb. 29? Will having a birthday every four years affect them in any way? The Honor Society of Leap Year Day Babies, founded by 56-year-old Raenell Dawn (soon-to-be 14 in leap years), is a free membership birthday club for people born on Feb. 29. With 10,000 current members, the club helps raise “leap consciousness” by providing an online community for leapers and leaper parents to share their experiences and offer advice on common concerns. "There are those few moms who hate it," Dawn told the Huffington Post. "They do not want a leap day baby, so we try to help them understand that there's no need to feel this way about the date." Also, speaking to the Huffington Post, Dr. Laura Riley, an OB-GYN at Massachusetts General Hospital, said there were no scheduled deliveries for the last leap day we had, which landed on a Wednesday. For a maternity ward that averages eight deliveries per day, she said the leap day saw no scheduled inductions and no elective repeat C-sections scheduled. Meanwhile Tuesday was completely booked, and on Thursday, only one slot remained. Riley recounted the story of an expecting mother who was overdue, yet refused to induce birth on Feb. 29. This patient preferred to give birth on a different day, even if it meant she’d be cared for by a less familiar doctor. “To her, it was far more important to not have that date.” Riley said. There was no problem with this because the woman had a normal pregnancy. It’s “only in emergency cases of fetal distress or antepartum hemorrhage that doctors insist on an immediate delivery,” Dr. Megha Tuli, an OB-GYN specialist in Uttar Pradesh, India, told Medical Daily. A mother’s refusal to have her baby born on a leap day is strongly tied to the fact that her child’s birthdate won’t appear on the calendar every single year. Dawn agrees this is a common issue, especially with regard to inputting birthdays on websites and official government documents. John Reitz, a law professor at the University of Iowa who specializes in administrative law, speculates a leap year baby’s birthday would legally be marked as March 1 because they’d technically be a year old on the day after February 28. This would affect everything from when the baby can legally drive to when they can join the army or buy alcohol, and even when they can start collecting social security benefits. Combating this potential setback isn’t too hard. Parents can create meaning around a leap year birthday by encouraging fun family projects, like arts and crafts, which illustrate the zany reasons a leap year birthday is charming and special, Parker said. A leap year birthday doesn’t have to be a loss; if anything, it’s a great conversation starter that will always spark intrigue due to its exclusivity.